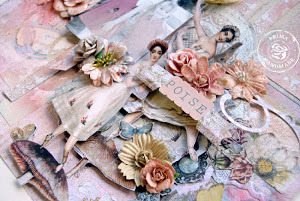 Make your scrapbook layout whimsical before you even add photos and embellishments! 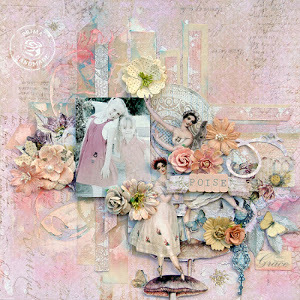 The Graceful Fairy Belle Scrapbook Layout is a gorgeous project that utilizes a pastel palette and unique mixed media effects to lend the project an air of whimsy. 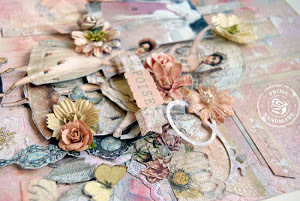 With the help of a floral mask and Pan Pastels, this project will look soft and delicate when completed. 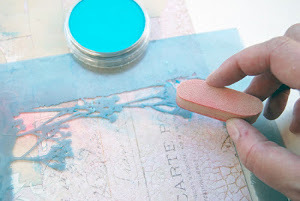 Perfect for a little dancer or the fairy tale princess in your life, this scrapbook page layout idea will come together beautifully when you follow this tutorial. 1. 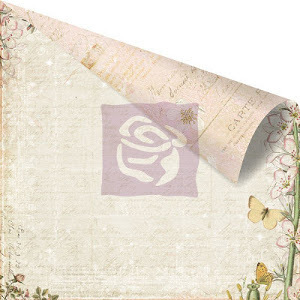 Start with the Fairy Belle 'Marcelle' Patterned Paper as the base - use the reverse side. Attach strips of Cotton Tape vertically and horizontally over the area where the main design elements and photo will be featured. Cut them into different lengths and stagger them. Prima Cotton Tape is already adhesive backed which makes it quick and easy to attach. 3. Apply Texture Paste over the top of the mask. Remove Mask and allow to dry. 4. 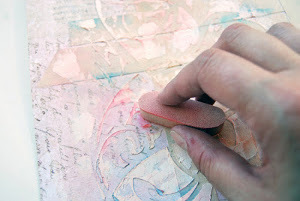 With a 'Sofft Art Sponge, add some color to the Texture Paste with PanPastel. A light application of Yellow Ochre Tint was first applied. Highlights of Turquoise and Permanent Red were added. 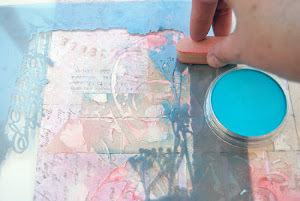 A round sponge bar was used to apply the PanPastel. If the color was too intense for my liking, I was able to remove by erasing. The area was then sealed. 5. Some additional masking were added. The thistle element of the mask was highlighted with Pan Pastel Turquoise. 6. 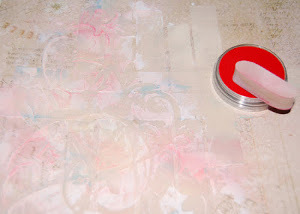 Attach thin strips of patterned paper vertically and horizontally - I used the decorative strip at the bottom of the Fairy Belle Patterned Paper and attached over some of the previously attached Cotton Tape. 7. 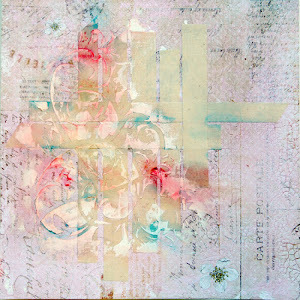 Add other design elements and photo. 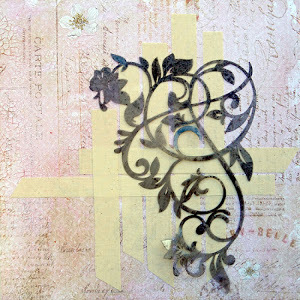 If you like this layout, find others you'll love in our collection, Scrapbooking Layouts: 20 of Our Favorite Scrapbook Page Ideas. #BestIdeaEver This is a beautiful page that my granddaughter would love. She loves fairies and has a scrapbook of fairies she could add this to.